Bob Foresman, Forespar’s founder, never stopped innovating and testing sailing concepts – a company premise that continues today, 50 years later. From the original telescoping whisker poles made in the garage to today’s carbon fiber poles, furling systems and the rest of a catalog of boating products from the modern plant, the family continues to experiment, produce and sell new products. 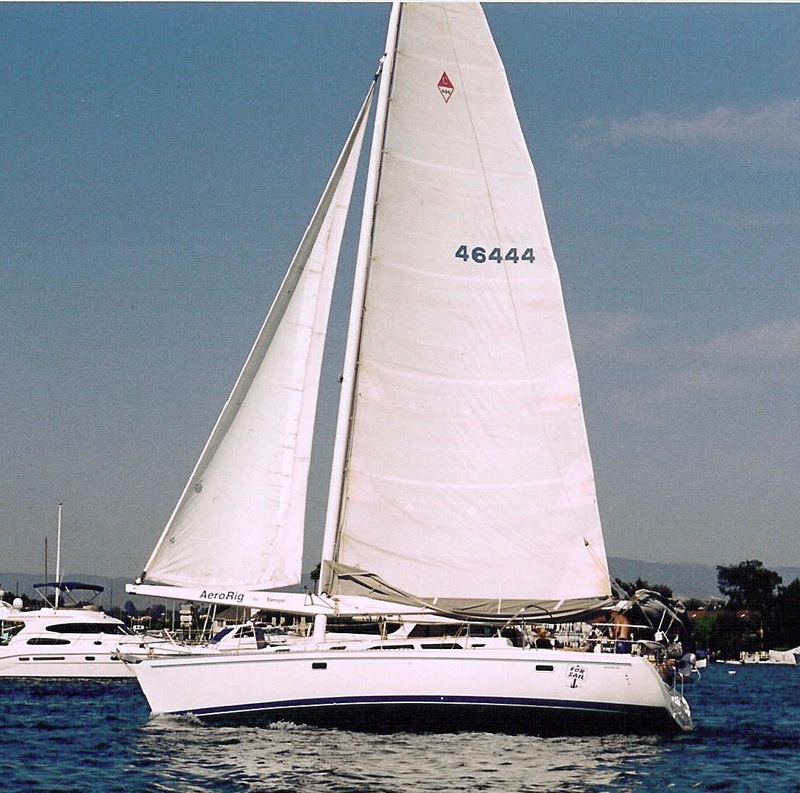 A classic example is Fore Sail, the Foresman’s Catalina 400. 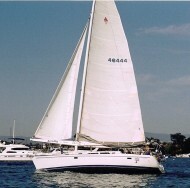 Working with Catalina Yachts, Forespar developed Fore Sail as a test bed for a Forespar-built Aero Rig, with an eye toward a Catalina production model. While this ultimately proved impractical because of market conditions, an easy-to-sail (and single hand) 40-foot cruiser with a very different rig drew a lot of attention in the early 90’s. Shown here with Art Bandy, now the Forespar OEM Sales Manager, at the helm and strings tacking up the Newport Beach Lido Channel. Mike Dwight February 26, 2016 Category: General Content, Our Team. Tagged: Aero Rig, Forespar, Hoyt Boom, Sailboat, sailboat rigging.